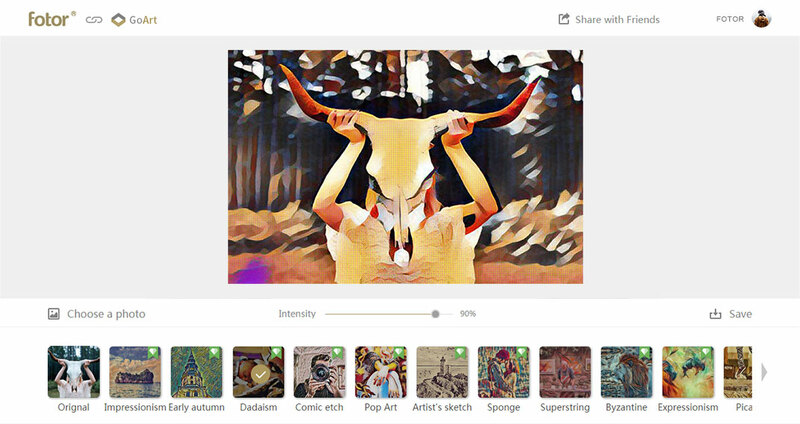 Want to turn your photos into classical painting style artwork? 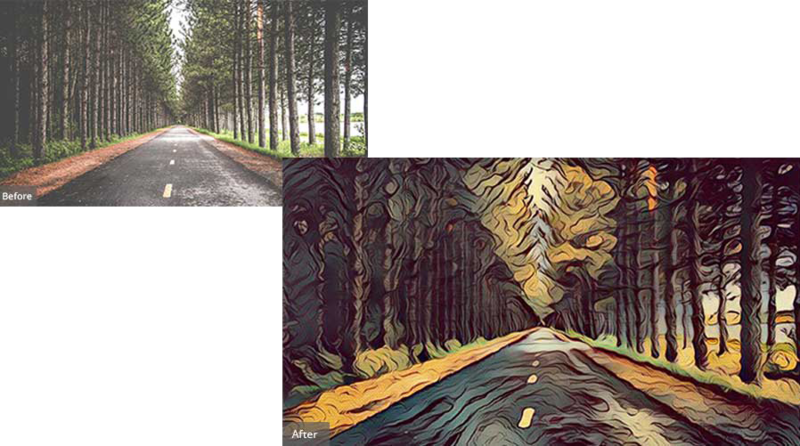 With Fotor’s GoArt AI photo effect, this can easily get done with just one click! Get GoArt on your mobile! 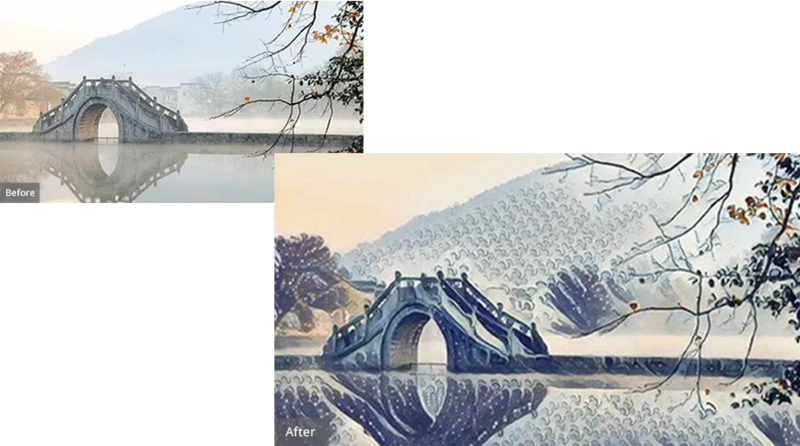 Various AI photo effects turn your photos into art! A fairytale style effect suits still life, street shots photos. Enhanced vibrant red, green, yellow colors produce rich gradation in photos. Emphasise photo's all details, add some cold color tones. Add graceful oriental style to photos. Click ‘Choose photo' to import a photo. Click any effect to start ‘painting'. Drag the strength slider to set the strength. Click ‘save photo' to complete the process also can share the great work to your friends! GoArt in your pocket – Download GoArt on your mobile! GoArt is also available in App Store and Google Play! 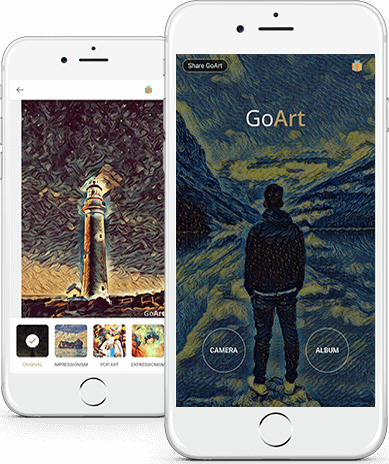 Now you can easily turn your photos into amazing artwork with GoArt’s artistic effects on your mobile! Get GoArt on your mobile today!